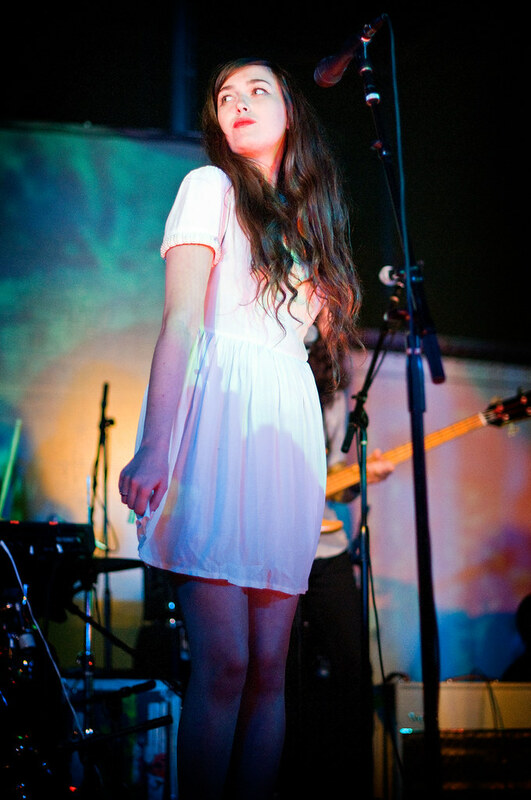 Madeline Follin of The Cults performs at PLAY MOCA. This year's PLAY MOCA series at The Geffen Contemporary Museum saw a series of multimedia events that included music performances by IO ECHOE, Zola Jesus and Salem along with collaboration with visual artists by Drew Barrymore and Benjamin Millepied. Presented by Smashbox Cosmetics and IAMSOUND, Play MOCA showcases the cultural vitality and diversity of the city of Los Angeles. These events began in 2009 to attract audiences of a more diverse and broader background to the museum through music, art, film, fashion, food, dance and architecture. “There is increasing interchange between artists, musicians, and designers. It is exciting to present these collaborative performance projects that reflect the new creative convergence in Los Angeles, ” said MOCA Director Jeffrey Deitch. On August 24th, New York-based The Cults closed out the series that saw visuals by Emmett Malloy and a DJ set by Victoria Bergsman of Taken By Trees. A free event, crowds came early to take advantage of drink specials while famed Kogi's food truck provided Korean bbq and ice cream sandwiches from Cool Haus food truck. 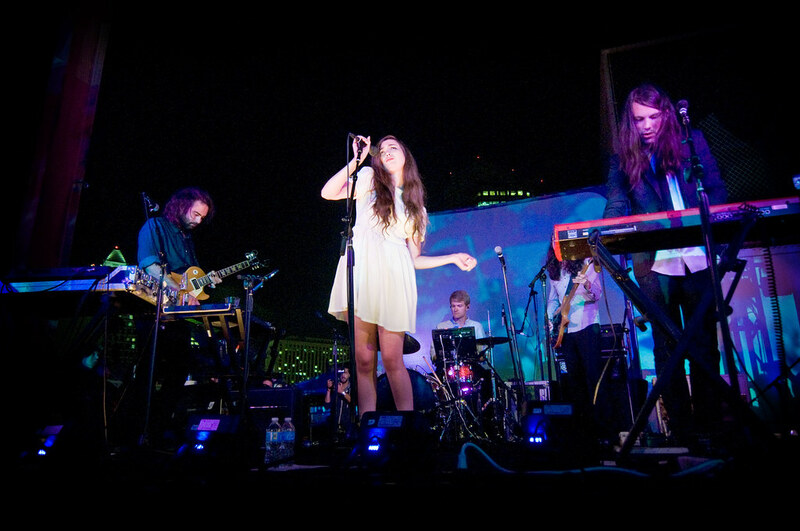 The Cults perform at PLAY MOCA presented by Smashbox. But it was The Cults that were the big draw this night. Girl-pop 60s influenced with cool indie flavored, buzzy-reverb, The Cults, made up of Madeline Follin and Brian Oblivion are still flying high off their 2011 debut album that featured their hit single "Go Outside" with a subsequent video starring Emma Roberts and Dave Franco. They launched the show to a packed, all-ages crowd with "Abducted" with the backdrop of downtown Los Angeles lighting the sky. 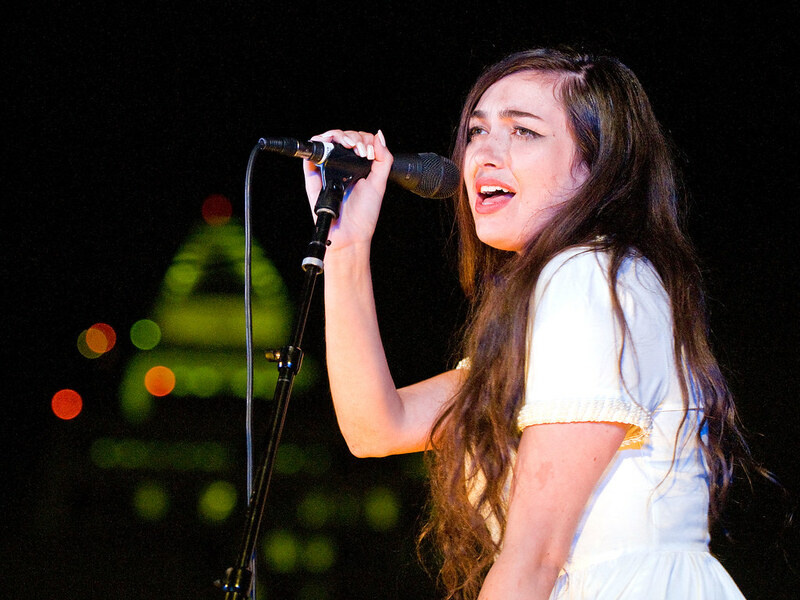 Mostly performing songs off that album, The Cults also played the new song "Slow Song" as well as the Leonard Cohen cover "Everybody Knows." Madeline ended the night bringing out her brother, finishing their set with "Go Outside" and "Oh My God." NEW SINGLE: TEGAN AND SARA'S "CLOSER"
FREE DOWNLOAD: JOY FORMIDABLE'S "WOLF'S LAW"